Highlights include: $75,620.00 ORIGINAL MSRP!! 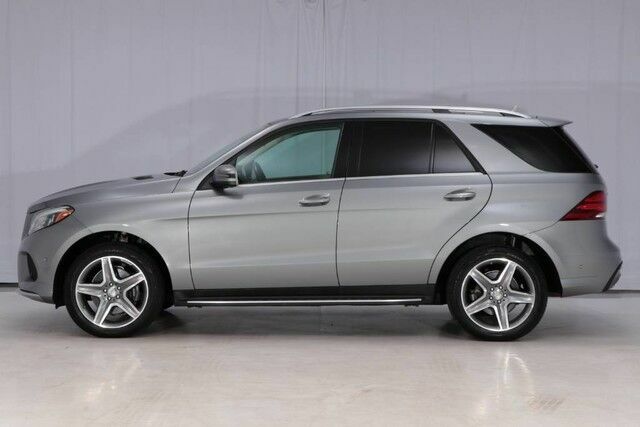 2016 MERCEDES-BENZ GLE 400, 4MATIC ALL-WHEEL-DRIVE, PALLADIUM SILVER METALLIC WITH GINGER BEIGE / ESPRESSO BROWN LEATHER, BURL WALNUT WOOD TRIM, DRIVER ASSISTANCE PACKAGE, PARKING ASSIST PACKAGE, LIGHTING PACKAGE, CONVENIENCE PACKAGE, ACTIVE BLIND SPOT ASSIST, ACTIVE LANE KEEPING ASSIST, DISTRONIC PLUS WITH STEERING ASSIST, PRE SAFE WITH BRAKE PEDESTRIAN RECOGNITION, BAS PLUS WITH CROSS TRAFFIC ASSIST, PRE SAFE PLUS WITH REAR END COLLISION PREVENTION, PARKTRONIC WITH ACTIVE PARKING ASSIST, SURROUND VIEW CAMERA SYSTEM, DYNAMIC LED HEADLIGHTS WITH ACTIVE CURVE ILLUMINATION & ADAPTIVE HIGHBEAM ASSIST, REAR-SEAT CENTER ARMREST PASS-THROUGH, MANUAL SECOND ROW SUNSHADES, BRUSHED ALUMINUM RUNNING BOARDS, TRAILER HITCH, PANORAMA SUNROOF, POWER HEATED & VENTILATED MULTI-CONTOUR FRONT SEATS WITH MASSAGE, HEATED STEERING WHEEL, NAVIGATION, BLUETOOTH, SATELLITE RADIO, LOGIC7 SURROUND SOUND, HEATED/COOLED FRONT CUPHOLDER, KEYLESS-GO, 20-INCH WHEELS, ONLY 1-OWNER, CLEAN CARFAX, WARRANTY, GREAT CARFAX DEALER SERVICE HISTORY!! This vehicle will be reviewed by an independent certified mechanic in accordance with PA state inspection regulations. If for any reason this vehicle does not pass inspection it will be noted. ! !PLEASE CONTACT OUR SALES TEAM AT (610) 918-7225 WITH ANY QUESTIONS!! We are pleased to show you another great opportunity! Sky Motor Cars is in the wholesale business and that represents the majority of what we do. When we have a vehicle this nice we present it to the public. Our turn time is quick and depending on auction schedules we may end listings early and take the vehicle to a dealer only auction. Do not hesitate if you are interested! We have supplied many detailed photos to give you an accurate sense of just how nice this one is! ! !THE BALANCE OF THE FACTORY WARRANTY APPLIES!! ! !A VARIETY OF EXTENDED WARRANTY OPTIONS ARE AVAILABLE!! This is a previously enjoyed vehicle so there MAY be a few light scratches and small chips around the vehicle. Please study the photos provided. Anything unusual or significant will be shown in the pictures. PLEASE NOTE THAT UNLESS SPECIFIED OUR VEHICLES ARE NOT MATTE FINISHED. THE PICTURES OFTEN SHOW THE REFLECTION OF OUR PHOTO BOOTH CURTAINS IN SHINY PAINT AND THAT CAN MAKE THE FINISH APPEAR DULL. Also note there are many shadows cast on the vehicle due to the conditions in which the photos were taken. If you are unclear of anything please contact us PRIOR to making an offer!